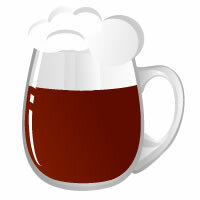 All Grain Doppelbock homebrew recipe. This homebrew recipe uses the following ingredients: Pilsner - DE, Munich Dark - DE, Special X - DE, Caramel Extra Dark, Vienna - DE, CaraHell - DE, Perle Hops, Triskel Hops, Fermentis Saflager W-34/70 Homebrew Yeast. This recipe was cloned from Bro's Bock.